BridgingApps just published the following review on their site and we couldn’t be more proud. Thank you BridgingApps! It’s a honor to hear such wonderful things about something we worked so hard to make. 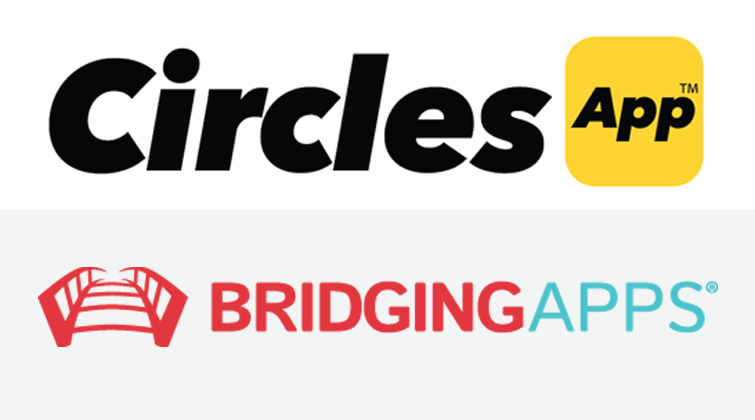 Head on over to BridgingApps and read the full review! Circles Social Skills Utility™: Social Boundaries & Relationships is an outstanding tool for teaching social boundaries to individuals with developmental delays. The app uses a visual format of color-coded, concentric “spheres of intimacy” that represent the degrees of physical closeness a person might experience. The app is user-friendly, allowing each child to create their own personal profile, and drag-and-drop the profiles of others into their circles. This allows the user to visually see where family, friends and strangers fall on their Circles chart, and the varying degrees of physical contact that are associated with each circle (who gets a hug, who gets high-fives, etc.). Circles can be used with any age group, and has been trialed in early childhood special education classrooms as well as high-functioning ASD teen groups. It is recommended that the Circles curriculum be introduced as early as pre-K levels, but especially, with teens and disability groups that struggle with social cognition; understanding physical boundaries and appropriate expressions can prevent exploitation, and circumvent inappropriate touching of others. The Circles Social Skills Utility™ can be used individually or in groups, and can be incorporated into public health programs, transition programs, and included as part of daily living skills on an IEP.